Testing Services validate integrity of materials. With Material Validation Testing Center, company can verify identity and integrity of precision bar products, mitigating material risk. Equipment can test for internal and surface defects as well as alloy verification. This is important for industries where metal identification is critical to application such as aerospace and medical. Company can provide Ultrasonic Testing, Eddy Current Testing, and XRF Alloy Verification, as well as Laser marking with customer-specific identifiers. Woburn, MA – Boston Centerless, a precision bar materials supplier, has expanded its services by adding a Material Validation Testing Center to its operation. This new center gives the company the ability to verify the identity and integrity of the precision bar products manufactured by Boston Centerless, mitigating material risk. 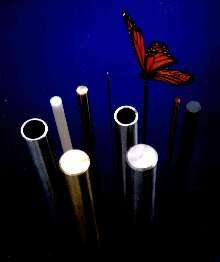 These services can also be performed on customer supplied material. 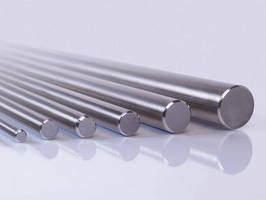 Specifically, the equipment can test for internal and surface defects as well as alloy verification. This is especially important for industries where metal identification is critical to the application such as aerospace and medical. Testing services include Ultrasonic Testing, Eddy Current Testing and XRF Alloy Verification. Laser marking with customer-specific identifiers is also available. Boston Centerless supplies customers worldwide with precision bar materials for close tolerance CNC Swiss machining applications. The company also provides grinding services for customer supplied materials and components, CNC Swiss consulting services, and manufactures a line of ultra-precise gages. For more information, visit www.bostoncenterless.com. 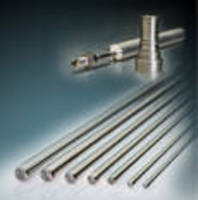 Bar and Tube provide close tolerances.